In memory of my wonderful sister I am happy to be sharing her biography with everyone. She passed away in 2000 at the age of 70. I miss her every day. 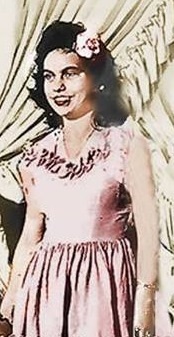 Carmen was born January 25, 1930 in Brighton, Alabama to Mary and Pete Atkisson. She was their first born child, and the moment she was born my grandmother placed her in my daddy's arms and said, “It is good luck for the father to hold the baby first.” And so it was that my sister was intellectually gifted, was very beautiful and had a sharp wit that has kept us laughing, even after all these years that she has been gone. When Carmen was about one year old, she and my parents moved to Oklahoma in hopes of making a living. The country was in the throes of the devastating Great Depression and jobs were scarce. But life was no better for them in Oklahoma than in Alabama. So in 1935, they moved back to Chilton county where our daddy was hired by the Alabama Power Company. Carmen started first grade at a one-room schoolhouse at Mitchell Dam. In 1941 our family moved to Martin Dam and Carmen began third grade at Kent. She began fourth grade at Red Hill where she loved and always had many friends. Growing up in Red Hill, there was no entertainment to be had so the young people would get together and sing and play. She told me once how she, Irene Clayton, Bobby Jack Hall, Arnold Dopson, Billy Dopson and Eddie Well Jones would get together and sing. She had a beautiful alto voice and could harmonize with anyone. After she graduated at Red Hill, she started her 10th grade at Tallassee High School where she graduated in 1948. 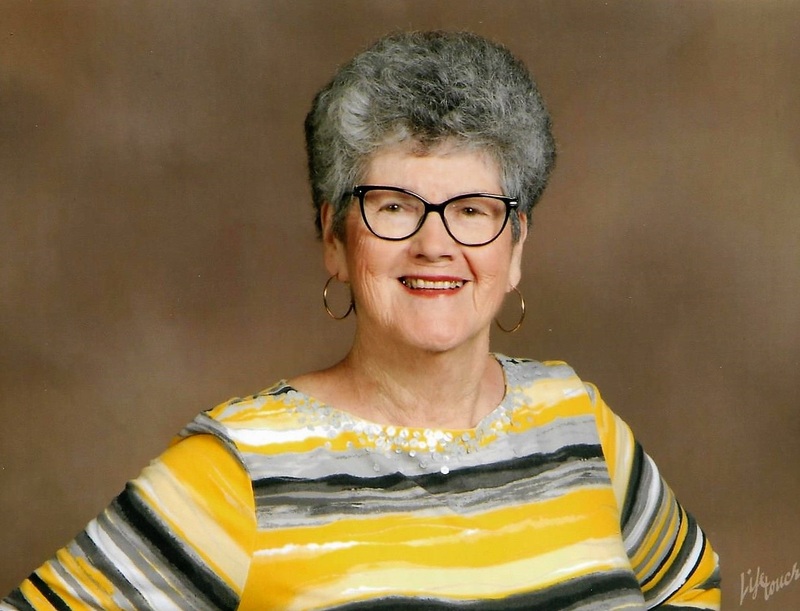 She furthered her education at Massey-Draugn and worked part-time at the Payday candy factory in Montgomery. She never ate another Payday candy bar as long as she lived. She met her husband to be, Dave Maness, at a nightclub in Montgomery and they were married January 13, 1950. Dave was in the Air Force and they spent many years in Alaska and also in San Angelo, Texas where their two children, Steve and Connie, were born. Carmen always worked for the Federal government and at the time of her retirement she was a Systems Analyst at Gunter AFB. After her retirement she started taking painting classes and became very accomplished. In all our homes hangs a painting of hers. They also did a lot of traveling throughout the country in their motor home. She especially loved the western states. When we traveled, she would be captivated by the desolate landscape in southwest Texas. In the seat next to her, I would be fast asleep. I was born March 21, 1933 in Hartshorne, Oklahoma, the oldest son of Mary and Pete Atkisson. Our country was in the midst of the devastating Great Depression and my parents had gone to Oklahoma in hopes of making a better living. But life was no easier there than in Alabama. However, they struggled on for two years until they became so impoverished they had no choice but to return to Alabama. We traveled back to Alabama in a mule and wagon. It was an arduous journey that took over a month. Back in Alabama their luck improved. My daddy got on with the Alabama Power Company and we moved to the camp at Mitchell Dam in Chilton county. I started first grade in a one-room school house at Mitchell Dam in 1939. In 1941 our daddy started working at Martin Dam and we lived in the camp about a year. That year I started second grade at Kent. The school bus would not come across the bridge so my sister, Carmen, and I would walk from the camp down the bluff to the other side of the bridge to catch the bus to Kent school. The bus came down the Gold Mine Road from Kent to pick us up. At that time, there were many children living on the Gold Mine road. In 1942 Daddy bought ten acres of land from Preston Griffith and we moved to Red Hill. I started second grade at Red Hill when I was seven years old and I loved it there. There was always a high-spirited baseball game going on at recess, but the highlight of every day was lunch time. Miss Grace could make even English peas taste delicious. My second grade school teacher was Miss Taylor; my third grade teacher was Miss Plant; my fifth and sixth grade teacher was Miss Bixie. Miss Alma and Mr. Carl Kennedy taught seventh, eighth and ninth grades. We made many lifelong friends at Red Hill, most of them gone now: Buddy Starnes, John Lock, Pete Strength, Billy Strength, Warren Traywick, Bobby Jack Hall and a special friend, Rufus Clayton. Our mama would not let us go swimming unless Rufus could go with us. He was our trusted care taker. After the ninth grade I went on to Tallassee High School for two years but went to Eclectic for my senior year. I was on the baseball team at Eclectic and graduated in 1951. 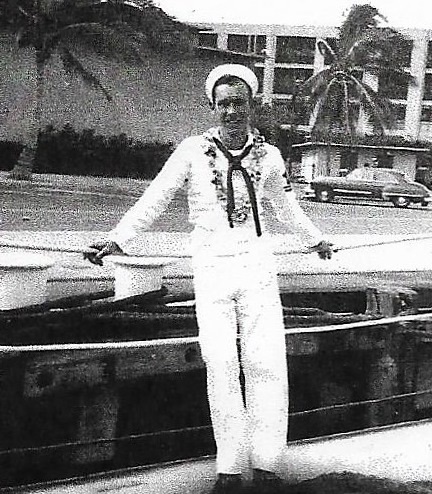 In 1952 I enlisted in the Navy and served on the USS Rombach BE 364 during the Korean Conflict. While stationed in Seattle, Washington I met my wife, Kay Norris. We were married February 15, 1958. I worked for the Department of Defense at Maxwell AFB, retiring after 31 years. After retirement my wife and I built a home in Wetumpka and these days, I spend my time sitting on the back porch watching football and baseball on T.V. and sipping mint juleps! As a five year old I could not wait to go to school and finally the day came in September 1949. I loved school and enjoyed every minute at Red Hill. I hated to be sick, loved Mondays, hated Fridays. School at Red Hill was all it should have been, fun and informative. My first grade teacher was Miss Thomas; my second grade teacher was Miss Spear; my third and fourth grade teacher was Miss Estes and my sixth and seventh grade teacher was Miss Webster. Miss Webster taught me to do some of the dances that were popular during her college years and some of them I still do today, only much slower...the charleston, the camel walk, and the jitterbug. Growing up in Red Hill was a carefree, unforgettable time. There were always picnics up on the mountain, birthday parties, bicycles to ride and impromptu ball games in the dirt roads. I attended Red Hill school until my eighth year and then I started to school at Tallassee and graduated in 1961. Three days after my graduation, I was on my way to spend what I thought was going to be the summer with my sister, Carmen, in Hawaii. But exactly one month after arriving in Hawaii, I met my husband, Rayford. I knew then that I would be spending more than just a summer in Hawaii. We were married at the beautiful little chapel on Hickam AFB, December 23, 1961. We spent two idyllic years in Hawaii. We would play on the beach all day and dance under the stars at night. That was then...and what a magnificent time it was. But then life started to get serious. In 1963 we had to leave Hawaii for Andrews AFB in Maryland. Our first child, Suzanne, was born there. Our second child, Holly, was born four years later in Montgomery while my husband was in Viet Nam. After Viet Nam we spent eight hurricane-free years in Homestead, Florida and Rayford retired there after 22 years of service. There was no question about what we would do upon Rayford's retirement. We returned to the place where I grew up...Red Hill, Alabama. I went to work for the great State of Alabama and Rayford went into air conditioning. But life is much slower now...we are both retired and we spend our days sitting on the deck enjoying our girls, our many pets and the abundant wildlife around our country home. She wrote a great book regarding the school and its origins called "I Remember When"
Charles Alfred Castleberry was born on September 12, 1935 and died on December 1, 2008 in Russell Hospital, Alexander City, Alabama. He was the son of James Elmer, Sr. and Georgie Ingram Castleberry. Charles was a student at Red Hill School for 8 years and graduated from Elmore County High School in Eclectic, Alabama in 1953. He was married to Paula Jane Eller Castleberry for 54 years. 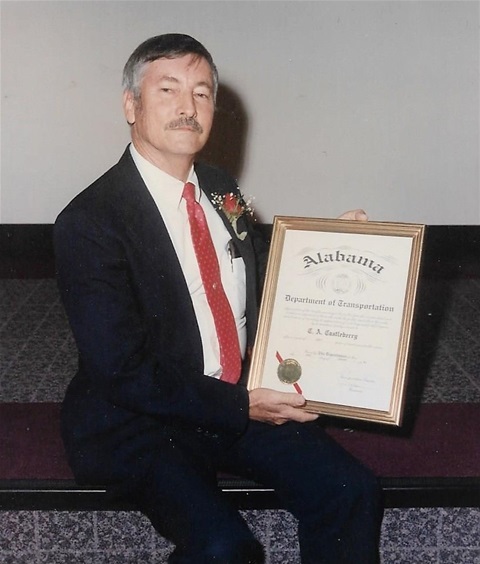 He retired from the Alabama Department of Transportation after 40 years. He loved traveling and antiquing. The photo at the right shows Charles receiving his certificate of service at his retirement. 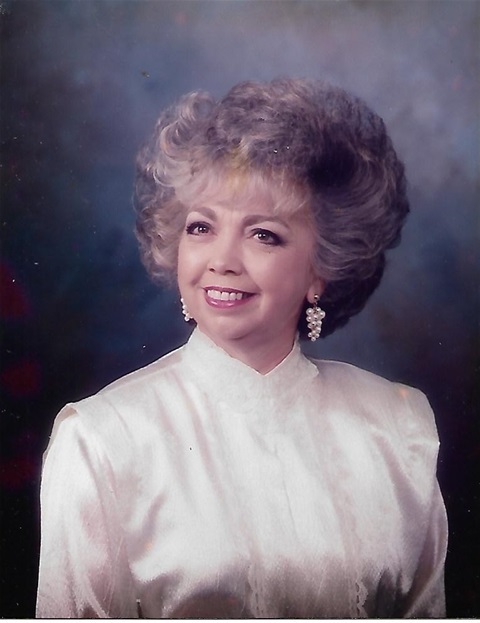 Paula Eller Castleberry was born August 24, 1935 near Eclectic, Elmore County. She graduated from Elmore County High School in 1953. 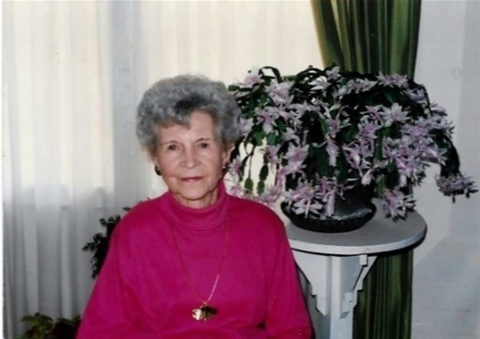 In 1954 she married Charles A. Castleberry, her high school sweetheart. They were married 54 years and had 1 son and 1 daughter. She is a retiree from Alltel Communications, now Windstream. If there is one man most responsible for much of what you are viewing on this section of our website, it would be Charles Chambers. It was his idea to engrave bricks removed from the old Red Hill School building when the space for the Red Hill Fire Department truck was constructed. As the building was approaching 100 years of age, he thought that the engraved bricks, placed in a garden setting in front of the old school building would be a great way to honor those who were students at the old school, or those who had come to love all that the old building stands for. Charlie's mother was one of the first students to attend Red Hill School in the new brick building in the late 1920's. Charlie was one of the last students to attend the school when it closed as a school in 1966. He led in the construction of the Red Hill Community Veterans Memorial Wall, which just celebrated its 20th anniversary on Memorial day of 2016 with the addition of 15 more names to the almost 200 already there. He has a great love for the Red Hill Community and its history, including that of the Native Americans who once lived in our area. He is very active in the Red Hill Fire Department, currently serving as Fire Chief, as well as heading up the committee of the Red Hill Community Club assigned to engrave the bricks and create the garden in which to place them. It is fitting that the first brick from the old school building was engraved to honor him. 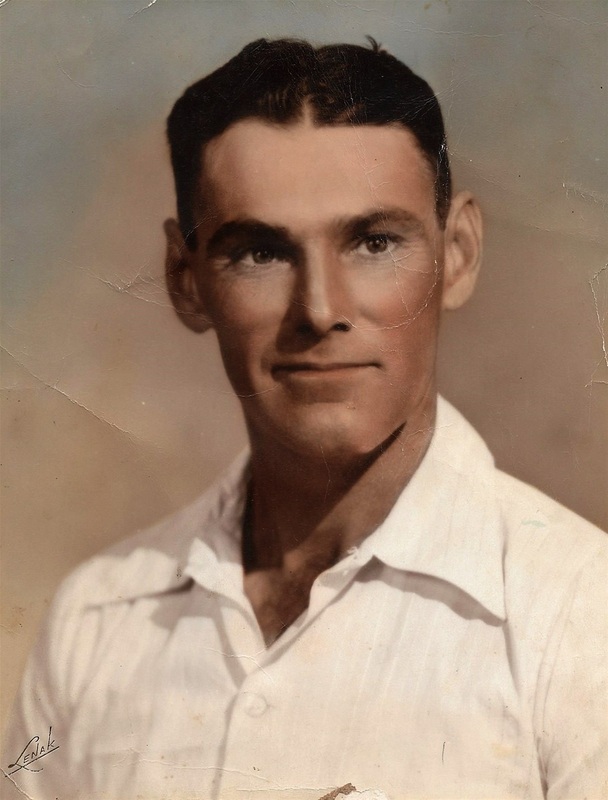 Arnold Bryant Dopson was the son of Harvey Elmer and Fain Nail Dopson. He was born on September 16, 1930 and died on March 14, 2015 and was buried in Rose Hill Cemetery in Tallassee on March 17, 2015. He married Mary Joanne Bowen June 18, 1949 in Elmore County, AL. She was the daughter of Roy Bowen and Mary Duke. She was born May 27, 1931 in Elmore Co., AL. They never had any children. Arnold was a student at Red Hill School, graduated from Tallassee High School and served his country in the United States Marine Corps. He went into the banking profession and rose to Chairman of the Board and President of the Bank of Tallasse, which later became Trustmark Bank. He also served a term as the President of the Alabama Bankers Association. 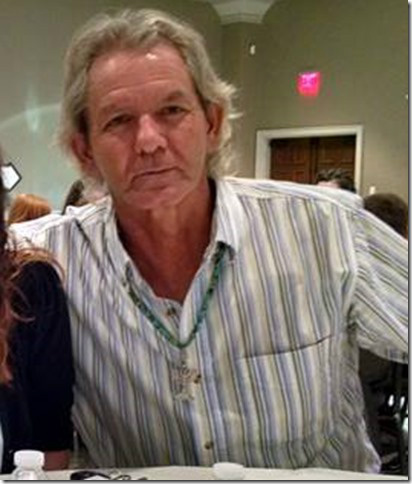 He was very active in his community,singing in the choir at the First Methodist Church in Tallassee. He served on the boards of the Tuckabatchee Council of the Boy Scouts of America, the Blount Foundation and the Tallassee Community Hospitial. He was chosen Trustee of the Year at Community Hospital, Tallassee, AL in April 2006. William Carnell Eller, was born July 8, 1904 in Blount Co., AL and died in Elmore County in 1963. He was a graduate of Blount County High School in Oneonta. He worked as a carpenter as a young boy and followed this trade all his life. As a young man he worked with local contractor, Lucious Edmond Lanier, building the Red Hill School. He was often a foreman on large construction sites. He married the former Clarice Lovejoy of Elmore County and they lived near Eclectic, and were parents of 4 sons and 2 daughters. Although he worked as a carpenter he enjoyed a little bit of farming, always having a few livestock, fields of corn and watermelons. But his first love on the farm was his garden and beautiful flowers. He loved listening to quartets on the radio. He also faithfully followed on radio, the University of Alabama football team when they were coached by Coach Harold “Red” Drew. Ms. Grace Garnett was the cook for the cafeteria/lunchroom of the Red Hill School for many years until the school closed in 1966. She was the epitome of graciousness in her demeanor and deportment with every person she came into contact with. It was a treat to descend the stairs to the lunchroom for every child, knowing that Ms. Grace could make all she prepared taste so very good. Her yeast rolls were a special delight to her lunch room diners. She was a beautiful person, both outwardly and inwardly, during all her life. 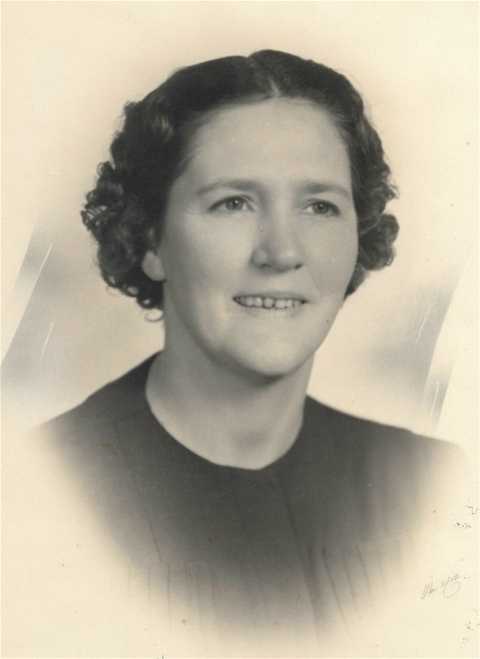 Sally E. "Bixie" Hancock Griffith, known to most of the children under her tutelage as Aunt Bixie, taught at Red Hill School for many years, primarily the 5th and 6th grade classes, which were located in the northwest corner of the school building. She was a loving and caring teacher, with a soothing, reassuring voice that always had a hug for her students. Yet she could still give her pupils a spanking or a switching if they needed it. Just ask Bobby Watkins about the firecrackers he brought to school. Her claim to fame was actually beating the fire out of Bobby. One of her projects was teaching her students how to use the knife and fork and spoon in the proper manner in Miss Grace's lunch room at the school. She played the piano for Refuge Church and helped the younger children to learn to sing for the church services. She was married to Lamar Griffith. They never had any children.